To efficiently capitalize on emergent opportunities in a consumer-focused world, organizations must embrace a data-driven culture and understand how data management can contribute to strategic growth, product discovery, market penetration, and revenue generation. Consumers are demanding a personalized, and in the case of entertainment, immersive experience that some organizations are not yet fully positioned to support. 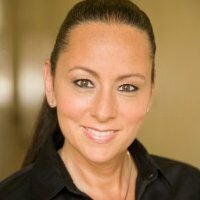 Ms. Yasgur will share an entertainment studio executive's perspective on technology, process, and organizational challenges and opportunities that lie ahead. JR Yasgur is the Senior Vice President, Global Data Strategy & Operations at Sony Pictures Entertainment (SPE). Ms. Yasgur is responsible for intellectual property and operational data management throughout the content lifecycle. Ms. Yasgur's oversight of data governance best practices enables emergent digital business models, operational efficiencies, and improved content discovery. Ms. Yasgur leads change management initiatives to optimize content exploitation, margin management, and digital workflows. Ms. Yasgur is involved with industry-wide initiatives to define future standards and is the co-inventor of two patents for metadata management.